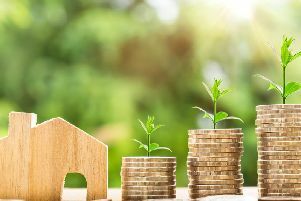 The town has seen a 116.7 per cent increase in new listings in January 2019 vs December 2018 according to the latest Property Supply Index compiled by online estate agents Housesimple. The town which saw the highest rise was Hastings with 212.1 per cent. Other towns and cities seeing a bigger increase were Southend-On-Sea, Torquay, Guildford and Ipswich. The Property Supply Index, which analyses the number of new properties listed each month by estate agents across more than 100 major UK towns and cities, found that new property listings in January 2019 were up by almost two-thirds (64 per cent) on December 2018. Sam Mitchell, CEO of online estate agents HouseSimple.com, said: “We would normally expect to see activity pick up in the New Year, but no-one was quite sure how sellers and buyers would react to the amplified Brexit uncertainty in January. In the end, it proved to be a busy month for sellers in particular, and even with the distraction of the Commons vote mid-month, homeowners were keen to make up for lost time. “We are seeing a ‘life goes on’ attitude amongst homeowners, and many view the current political climate as an opportunity to market and secure a sale while there is less competition around.